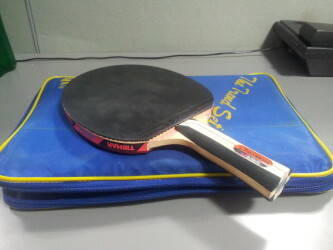 It has been more than 10 years since I started playing this lovely game of Ping Pong. My college mates know me from this game and my hostelmates might remember me playing this game until the wee hours of the next day. 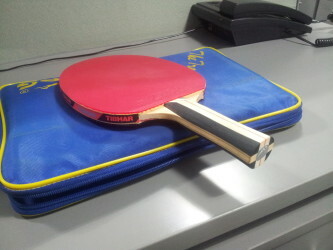 If there is one game that I love the most, other than Cricket, it is Table Tennis. I don’t know why, but I had fallen in love to this game when I was a kid. All my school life was spent in a small town called Tirupattur, near Jolarpettai in Tamil Nadu. I still remember when my father took me to Sacred Heart’s College. there were a couple of guys playing this wonderful game. I still remember pestering my dad asking that I also play this game. But that was another time, there were lot of reasons at that time why I couldn’t play there. We had to change hostels after completing the first year. We moved to the senior hostel and after checking into our rooms, the first place I visited was the TT room. There were more than 30 seniors; and I was the only junior in the room. One person patted me on my shoulder and when I turned, I noticed that it was the same senior to whom I had said my famous dialogue the previous year. He was happy to see me there and he took me under his wings. Coming to the topic of this blog, I remember how I begged my parents to get me a new racket and somehow convinced them and got the required finances – a princely sum of Rs. 350. I bought a Stag racket and was using it religiously. Never gave this racket to anybody, not even to my seniors. 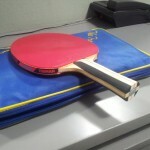 This was my racket and will not share it with anyone. 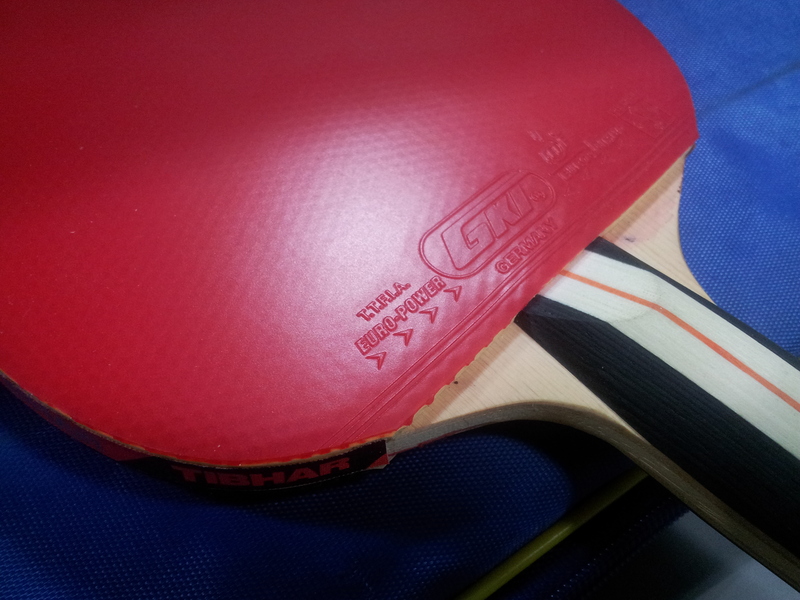 However, during the course of time, my game started improving and started learning about TT rubbers. I first heard the name Mark V from my doubles partner Manasa. Was shocked when I saw the quality of the shots. 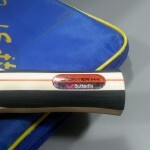 However, I decided I will buy a custom racket when I earn my first salary. My parents honored my request with a decent racket. I will not burden them again with another request. This time the racket will be bought from my own pocket. This thought came to me in 2003, during my final year in college. Fast forward to 2013, I decided the day has come and went to Jayanagar. 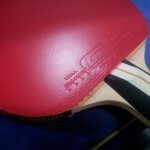 Though the day started with the hunt for a decent cricket shoes, I ended up buying a customized TT racket. 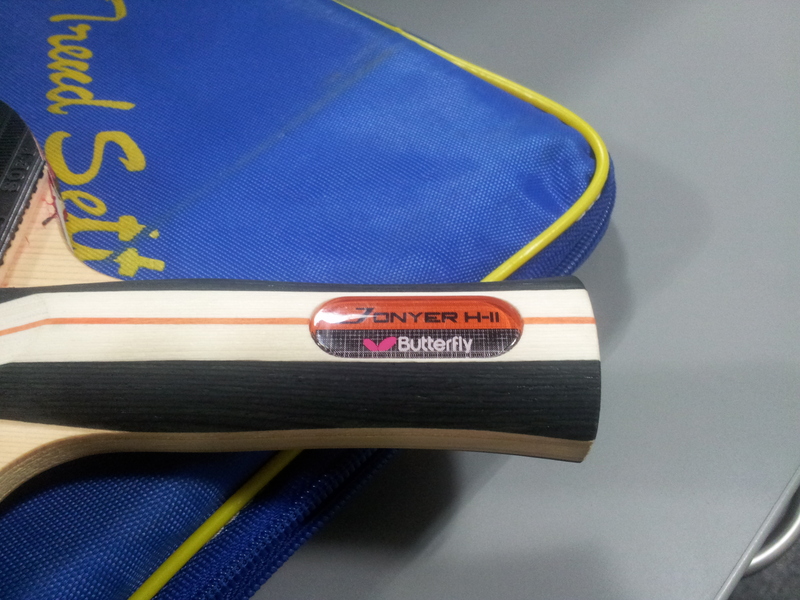 The final output was, Butterfly Plank, Mark V rubber for my forehand and Euro Power for my backhand. 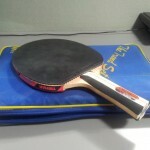 Of course, with any new games equipment, I had to first delearn my game and get adjusted to the weight and balance of the new racket. My forehand shots were going for sixers and boundaries. However, after close to a month now, my shots have started falling on the TT table. Hopefully, by this month end, my old game will be back.